Save 60% or more off of the over-priced Bowflex®. change quicker and easier than you thought possible. Lose weight, add muscle, get stronger while spending less time working out! No Hype. It really is possible. Use an incredible new technology that will keep you safe while at the same time providing an amazingly effective workout! Get Hundreds of Dollars of Accessories for Free! – Free Abdominal Exerciser, Free Leg Extension Unit, Free Butterfly Unit and much more! How do you get extremely fast results in the minimum amount of time? How do you supercharge your results? Discover Three Body Changing Advantages that set the FB Gym™ apart from other ordinary gyms. Your workouts and your body will never be the same. 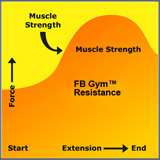 Variable Resistance is the key to faster, safer body changing results. See exactly how this powerful technology will allow you to sculpt your body. Learn How Two Way Resistance will allow you to perform two exercises in the time it takes others to do only one. More results in less time. an Insiders Secret to Results! Discover how the FB Gym™ uses a secret used by body builders to help bring your results to the next level. Your body will be practically forced to change. Could You Be Getting Faster, Safer Results at a Fraction of the Cost? See For Yourself All of the Free Accessories that Come with your FB Gym™. Including a Built In Ab Trainer. Free, Free and Even More Free. Everything is included with your state of the art FB Gym™. We invite you to take a tour of the FB Gym™ below so you can see for yourself why the FB Gym™ offers not only results but a real, incredible value. 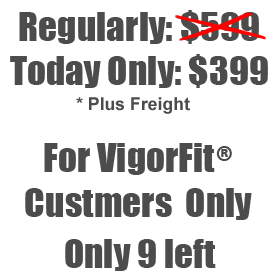 Why Pay $1500 or More For A Bowflex®? Compare & Make An Informed Decision and Save! So you have seen the FB Gym™. You’ve seen its quality. You’ve learned about the FB Gyms™ advanced technologies and how they can make your workouts faster, safer and very effective. How does the FB Gym™ stack up against the expensive Bowflex® you’ve been dreaming about? Take a look below and decide for yourself. Easy to Use Absolutely No Assembly or Disassembly Required Between Exercises! Most models do not have simple adjustable resistance like the FB Gym™. Easy Dial Fluid Power Resistance Change resistance with the simple turn of a dial. Most models use rods which must be attached and detached between exercises. But Why Pay So Much? Ab Crunch Attachment No Extra Cost!Sold as a stand alone unit by others for as much as $200 You will pay an extra $199. Not included. Free Butterfly Unit No Extra Cost! Not Available on this unit. Strength Conditioning for All 5 Major Muscle Groups Yes! Strengthens Arms, Legs, Abs, Back & Pectorals! You will pay more and there is no abdominal exerciser included. Comfortable Bench Our Padded Bench is a Full 45″ long and 12″ wide for a Super Comfortable workout! Polyurethane seat. Exercises can not be performed laying down. Unique Hydraulic Two-Way Cylinder Resistance Adjustable personal resistance with the simple twist of a dial.Has Positive Adjustable Resistance both ways for a Superior Workout! No! Uses power tension rods and pulleys which must be changed. How Is It Possible that You Can Get So Much Gym & Such Great Results For So Little? I bet this question is on the tip of your tongue right now. After seeing just how much the FB Gym™ has to offer, you are wondering how is this possible? You are not alone. This is the number one question we get. No Overpriced Infomercials and Expensive TV Ads. – We would prefer to save that money and pass the savings directly on to you. No Distributors and Expensive Stores. Purchase Factory Direct. – First, most of the gyms sold retail are a lower quality version. In addition, selling through retail outlets means there is another party that wants to make a profit. When you purchase an FB Gym™ you are purchasing factory direct saving you money. No Expensive Star Endorsements. – Why waste the money? We’d rather save you money by working on less profit, and providing more value you get an incredible gym that produces fantastic results at an incredible savings. * Resistance calculations will vary according to the force exerted by the user as well as the speed the exercises is performed. Resistance calculated based upon 21 reps per minute, maxes out at approximately 200 lbs per cylinder. Additional Bench Press Resistance Cylinder Kit available at a small additional cost after the gym has been received and used. By adding the additional cylinder you are able to double the available resistance. 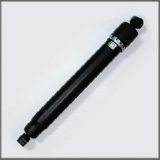 Most users will never require the additional cylinder but it is available. Click here for details on the Cylinder Resistance Kit. Copyright 2014 – No part of this ad may be duplicated in part or whole without the express written permission of FitnessBargains, Inc.
Before starting any exercise program, we recommend that you always check with your physician. Nothing in this ad is meant to imply any relationship with Bowflex® or any infomercial firm or other marketing firm selling similar or competitive products. Comparisons provided are believed to be accurate. We encourage consumers to do their own research for any comparison. Bowflex® is a registered trademark of Nautilus, Inc.